A new flock of birds are coming soon. Add to your collection or begin one. How exciting! 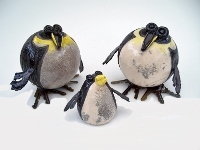 This chubby bird is made from steel pierced clay. 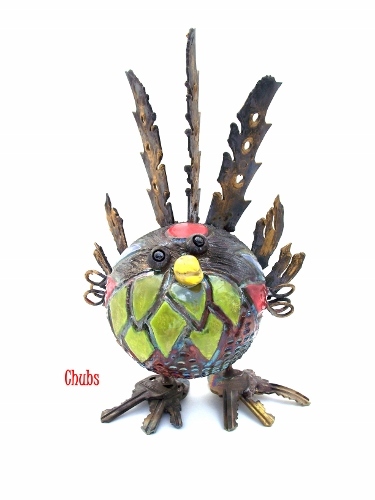 Up-cycled key feet and band saw blade tail feathers makes him so eco-friendly. 8" tall. His colorful glazing and happy expression make him unique amidst his flock. Adopt him today. Shipping is FREE!